Creator: Mason, William H. H.
Description: Tinted postcard of the Campbell School located on Broad St., Windsor, CT. 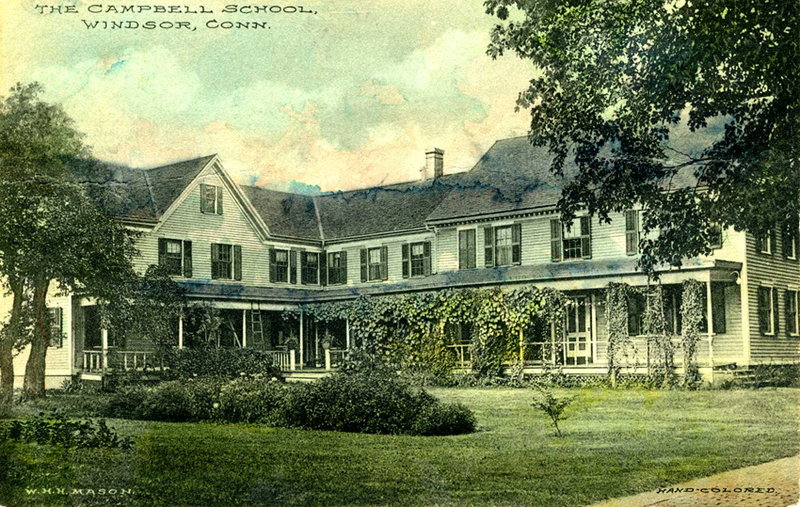 The Campbell School for Girls was founded in 1903 by Alfred and Marian Campbell as a day and boarding school. It closed in 1919.